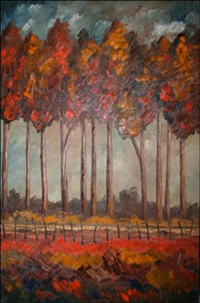 Martin Evans has been painting for more than 18 years focusing on the French Impressionist style of painting. From a young age Martin showed interest in art and enjoyed pencil drawings during his school years. No formal art training was received but the urge to paint peeked during his university years during the completion of his business studies. 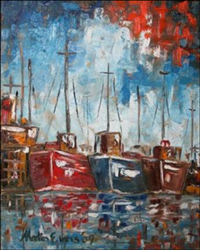 This strong desire to be creative with a brush let him to take up oil painting classes. This was the birth of more than just a hobby, it become his passion and great love. The use of vibrant and strong oil colours is seen as a way to express that, which is on the inside, and this culminated in a very distinct style. Commission works include a diverse range of subject matter with preferred subject matter includes amongst others landscapes, farm scenes, seascapes and trees. Martin resides in Roodepoort, Gauteng. "In my paintings I try to give back that which God has entrusted to me and in the process reflect some of Africa's warm and stunning atmosphere"